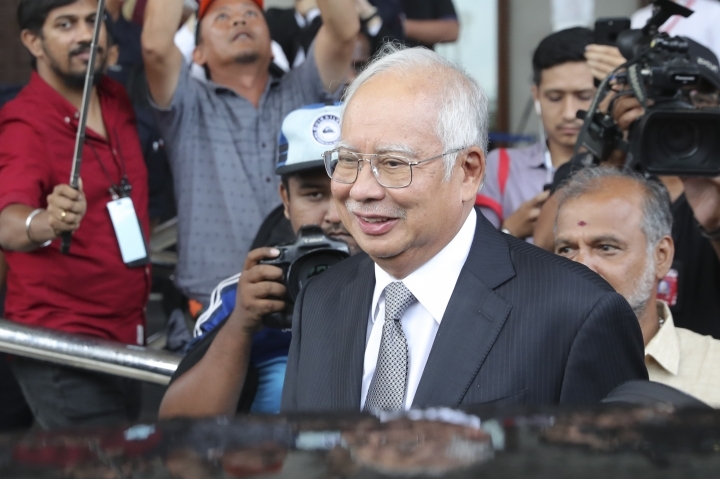 KUALA LUMPUR, Malaysia — The corruption trial of Malaysia's former Prime Minister Najib Razak entered a second day Monday, with a central bank investigator taking the stand in the case involving the transfer of suspicious money into Najib's bank accounts. One of few Southeast Asian leaders to be arraigned after losing office, Najib was solemn as he sat in the dock listening to the testimony. Central bank investigator Azizul Adzani Mohamad Ghafar, the second witness, testified he secured documents in 2015 related to the bank accounts of Najib, SRC International and another company. SRC is a former unit of 1MDB state investment fund, which U.S. investigators say was pilfered of billions by Najib's associates. The scandal involving 1MDB helped lead to Najib's election defeat last May. The trial is the first of several against Najib, who faces 42 graft charges in one of the country's biggest criminal proceedings. It specifically involved seven charges related to the transfer of 42 million ringgit ($10.2 million) from SRC into Najib's bank accounts via intermediary companies between 2011 and 2015. He was accused of using his position to receive the money for approving a government guarantee for a government loan to SRC, committed criminal breach of trust and accepting proceeds from unlawful activities. Najib's lawyer Muhammad Shafee Abdullah told reporters after the hearing ended for the day that prosecutors must prove that the former leader was aware that the money transferred into his account was from illegal sources. "Just because money comes into my account doesn't mean I am in full knowledge that it comes from a wrong source because many individuals are involved," Shafee said. "Prosecution needs to show that he is complicit, he is part of the conspiracy." He said the defense will grill Azizul in their cross-examination Tuesday. Prosecutors said at the start of the trial on April 3 that Najib, who set up 1MDB in 2009, was the real power behind the fund. They said evidence will show that part of the money funneled from SRC was used by Najib for a shopping spree at Chanel in Honolulu, renovation works at two of his private homes and also disbursed to political parties in what was then the ruling coalition. 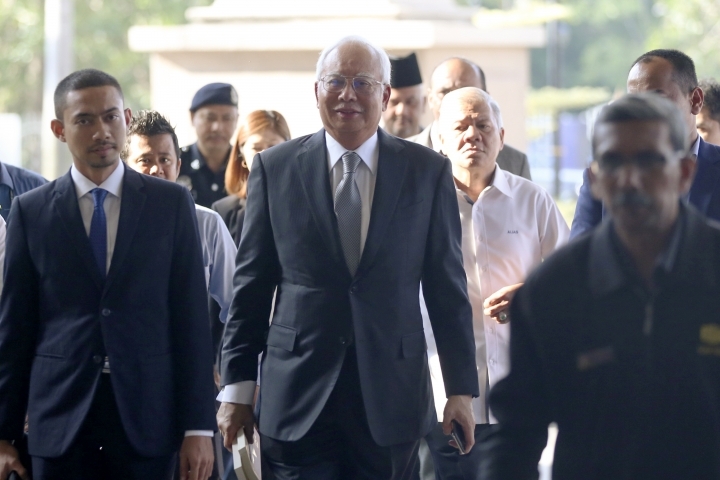 Najib smiled but didn't speak to reporters as he left the court. His wife, Rosmah Mansor, also has been charged with money laundering and tax evasion linked to 1MDB. She has also pleaded not guilty and her trial date has not been set.